Berlin, 1976. Inspired by the city’s burgeoning and diverse music scene, David Bowie finds a new creative base in Berlin’s barren confusion, and begins writing songs influenced in part by Arabic and Turkish folk music. On tracks such as „Neuköln“, „The Secret Life of Arabia“ and „Yassassin“ (Turkish for: „Long Life“), we hear Bowie bearing witness to the sound of a vibrant immigrant society. The songs of immigrants themselves, however, received little attention and thus little recognition at that time. Fast forward a few decades and interest in these ‚folk songs‘ had grown tremendously, worldwide. As a result, the music is constantly diversifying and evolving. 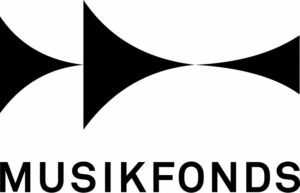 In Germany today, immigrant ‚folk music‘ is not just a term associated with ‚Rebetiko‘ (Greek folk music) or ‚Fado‘ (Portuguese folk music). It describes forgotten treasures of a global sound archive, which have been ‚re-discovered‘ and perpetuated on blogs and record labels in recent years. 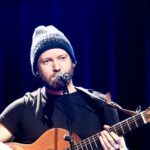 It is therefore high time to explore the immigrant folk music scene in the melting pot of modern-day Germany. The common song served to heal the migration experience and to help retain cultural memories as people were being relocated. Singing songs from ‚Home‘ was an important element of community life for the ‚guest workers‘ in Germany. And as the next generations grew up, they would sing folk songs as a connection to the past and to imagine an otherwise intangible homeland. This music, which traveled with the mass labor migration, died on one side – but was being rediscovered on the other side. 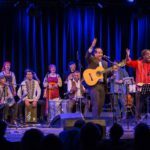 Berlin is now a place where young people sing the Dalmatian Klapa, where Vietnamese musical comedies take place, and where Turkish folk songs are taught at conservatories. First for us was an extensive ‚research and recruitment process‘, using our heads and our hearts. Our first criteria was to find musicians and singers who were ‚invited‘ to live in the former West and East Germany as guest workers. We made our way through the choir directories, club houses, restaurants and ‚ethnic‘ pubs looking for good folk who still worship and play or sing their folk music! Our hearts were pumping and now our heads were thumping, trying to sanction music from countries who previously had an ‚Anwerbevertrag‘ (Worker’s Recruitment Agreement) with the former West and East German Republics. We eventually incorporated pieces from Italy, Greece, Portugal, Spain, Croatia, Serbia, Turkey, Morocco, South Korea, Poland, Mozambique, Cuba and Vietnam. Many of the respective choir members and bands were already music ‚conservators‘ themselves, aiming to preserve and revitalize folkloric songs. 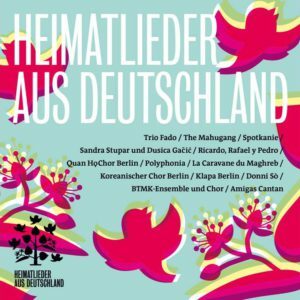 For all concerned, the Heimatlieder project was quite an experience – especially as 120 artists were recorded live, some of whom had never entered a recording studio before! 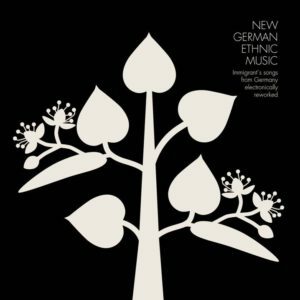 Ultimately, however, it was an immense learning curve: The winding paths of migration, the nuanced notions of ‚home‘, the discovery of unknown musics – and the transported experiences that came with them. Juxtaposed with all this passion was the practical; which microphones to use with certain instruments, and how best to produce music that was at times new for everyone. 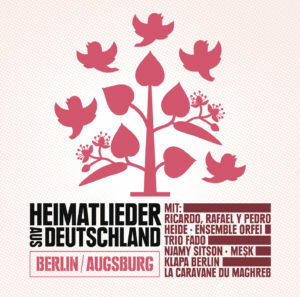 But there is a second chapter in this Heimatlieder story … It is striking that in the German electronic music scene, while many types of samples are used, immigrant folk songs are often left out. Therefore, we have passed on the original recordings to such diverse DJ artists as Natalie Beridze, Mark Ernestus, Gudrun Gut, Murat Tepeli, Eric D. Clark, Thomas Mahmoud, Can Oral (Khan), Guido Möbius, Symbiz Sound, Yvonne Cornelius (Niobe), Ulrich Schnauss, Margaret Dygas and Matias Aguayo. 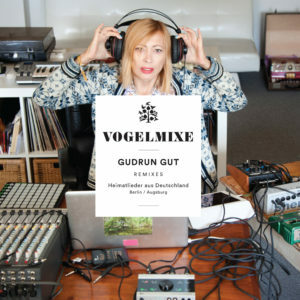 In the end, what has emerged from this remix process is a wonderful new ‚German ethnic music‘, which appeared in autumn 2013 under the title „Heimatabend Vol.1“.